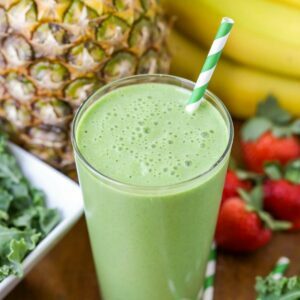 Let's lighten things up this month with this fresh kale smoothie! It's packed with delicious healthy ingredients that will make you feel energized all day long. Place all ingredients in the order listed, in a blender. Blend until smooth. Add more milk as needed to reach desired consistency. Enjoy immediately.